Two music lovers gave their USVI wedding a fun, funky vibe. We like Michelle and Slade's wedding at The Buccaneer Resort in St. Croix, USVI because of all of the unique touches this obviously fun-loving couple brought to their perfect party. 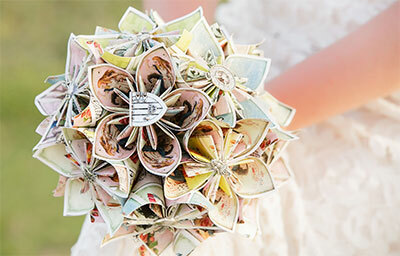 Michelle's bridal bouquet was a beautiful paper bouquet made from the original Tenniel illustrations from Lewis Carroll's Alice in Wonderland. Guests enjoyed mad libs and gourmet lollipops at the reception, and Slade's daughter serenaded "Fools Rush In." There is so much to love in this story. Jason and Judi got a second chance at love and blended their families. 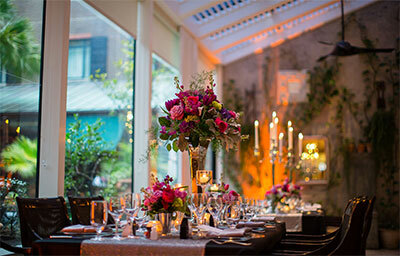 We love their story, we love the bold punches of color in their decor, and who doesn't love Charleston? It's got to be the most romantic city in the country. 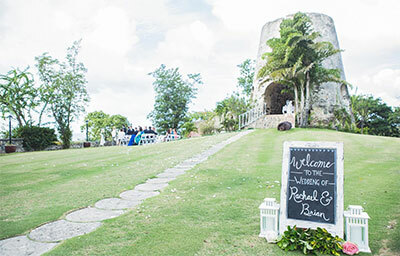 Imagine standing mountain-top at a historic sugar mill overlooking blue Caribbean waters.....That's Brian and Rachael's wedding. Need we say more? 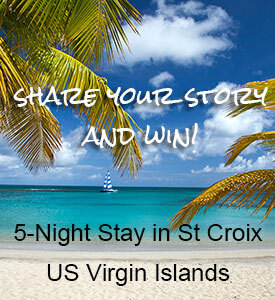 Are You A Wedding Venue?